In 2019, you have a decision to make – are you going to sit in the social media sidelines and watch the influencers take control for another year or are you going to evolve enough to become one of those influencers? Of course, if you are doing 2019 the same way you did 2018, change will not come your way. It’s your year, so what are you going to do about it? What should your social media marketing look like in 2019? 2019 brings with it a nine percent growth rate worldwide in social media users. In other words, half of the world’s population engages via social media. Ninety-five percent of adults between 18-34 who go online follow at least one brand on social media. Ninety percent of social media users communicate with brands via one or more social media networks. Of the companies that do participate in social media, only eight percent provide exceptionable customer service there. That last number is painful to look at because it means that many companies are out of touch with how social media affects their bottom line. Unfortunately, doing social media wrong is a little like showing up to school with your pants on backward. People laugh at you and not in a good way. Most social media mishaps occur because someone didn’t think it though. For example, William Hill, owner of Tom Waterhouse and Sportingbet, decided to play a social media game in his effort to become an influencer. He encouraged readers to help him name a horse race using the hashtag: #NameAHorseRace. Duplication – Don’t oversell your blog posts or content. Repetition is not your friend on social media. Once is quite enough. Poorly designed profiles – You can’t be an influencer if no one knows anything about you. Your profile should tell the complete story of your brand. Quality matters more than quantity – Don’t post content just to have something to link to on Facebook or Twitter. Social media is about personal communication whether you are a company wanting to boost sales or a grandma keeping in touch with the grandkids. You don’t see grandma auto posting daily, do you? 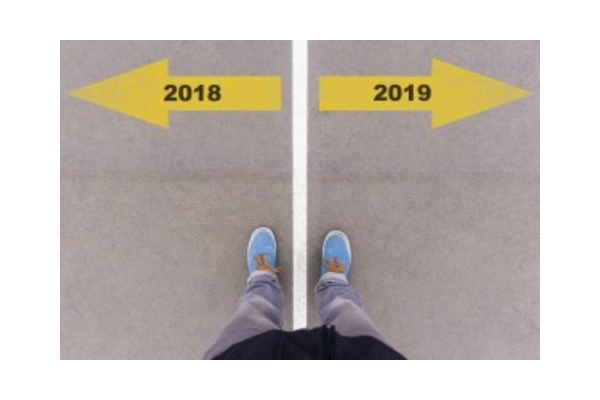 An excellent place to start your 2019 social media evolution is to go back and review 2018’s campaigns. Really look at them. What worked and what didn’t work? Now, you know what not to do and what to build on for this year. Next, look to see what is trending for 2019. For example, Facebook has a ways to go before they earn back trust. Chances are you will market on most of the channels but build your strategies around Instagram. Get current – If you want to be an industry influencer, look to see what the current influencers are doing right. If possible, get them to notice your brand, as well. I lied, quantity does matter – Create a social media content schedule and stick to it. If there are gaps in your posting, your audience will look elsewhere. Make data work for you – Analyze your strategies to see what is working as you go. See what your reach is on each platform and use that data to grow. Go to the video – Some things never change. Make sure you include video in your social media marketing plan for 2019. A video doesn’t have to be fancy, either. It could be a short thirty-second piece describing the recent blog post and personally inviting your audience to enjoy it. Engage your audience – Again, not new but too important to forget. Create content that your target craves over and over again. No ice bucket challenges for you – Avoid hip trends, instead, spend time building relationships with customers, influencers and collaborators. Personalization, there is that word again. It is the social media marketing key for 2019. You are going to have to shake a lot of hands and kiss a lot of babies, metaphorically speaking, of course, but it will be worth it when you see your brand’s social media presence evolve. Darla F is a full-time freelance writer published internationally and an award-winning author. Over the last decade, she has ghostwritten memoirs for a successful entrepreneur and created byline pieces for USAToday, Jillian Michaels, USARiseUP, New York Times — About.com, Multibrief, MedCity News, LiveStrong and AOL. Darla is known for her ability to take complex topics and make them clear to anyone.